Get this at ElevenVintage on Etsy! To understand the industry of Florence you must first understand it was a small industrial mill town built along a river, a rich history in silk production. It was also stop on the underground railway One of the most interesting industrial towns I've visited or learned about, with land dating back to the Nonotuck and Pocumtuck Native Americans. 1854 - Daniel Green Littlefield came back to Florence in 1854 as a traveling salesman for in the A.P. Critchlow and Company (maker of paper mache buttons and daguerreotypes). This is where he met Issac S. Parsons; soon taking over the company which was renamed Littlefield, Parsons and Company. 1866 - These two fellows with three other parties (George Burr, S.L. Hinkley and George Scott) would soon form The Florence Manufacturing Company in 1866. They would quickly be known for toothbrushes, and for development of their own plastic compound. 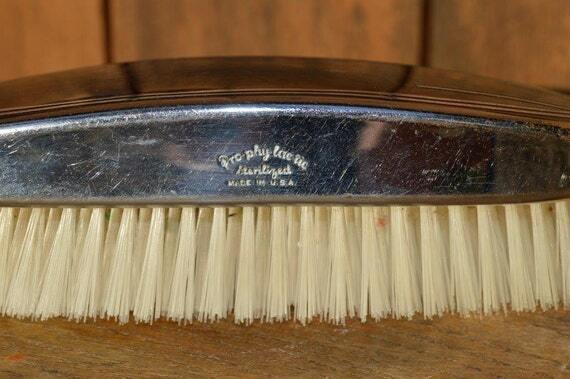 See the styling , Granny Beans Boutique on Etsy has this early prophylactic brush! 1894 - According to Charles Sheffield now the buildings were a series of three brick due to expansion. 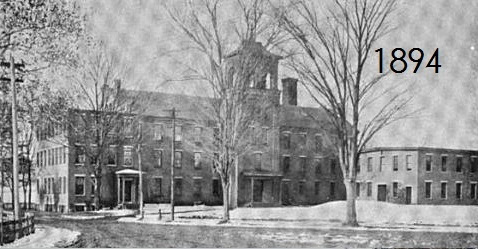 A new two story building was put on in 1886, and the office building in 1893. 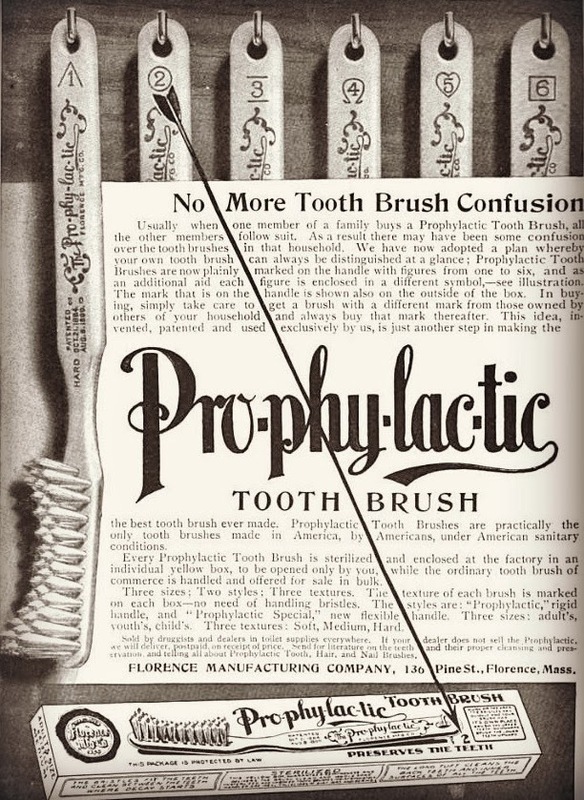 Now the company already had a "Florence Line" of wares such as mirrors and novelties, in addition to aluminum products called Cosmeon , the bristles, plastic of course. Workforce ranged up to 150 "hands" which I assume would be referred to as at least 75 workers. 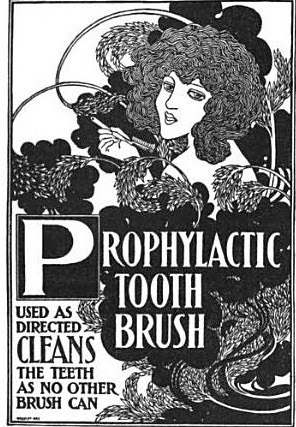 1904- Much emphasis makes their toothbrush one of the "cleanest around" and a huge marketing campaign is focused on drugstores and general stores to push the act of brushing teeth with this clean sterilized brush onto customers. Below, a Doctor backs them! One of my earliest clues of the factory shows an ariel sketch of the "clean airy factory!" This brush at Raggedy Andrews says "STERILIZED" and is a prime example of an early toilet brush. Could this have been in the Cosmeon line? 1921 - You can see the 1921 photo looks a bit different than the 1894 photo, and business was booming. I found material that the factory was listed at 211 Pine Street (changed from 136 Pine Street.) I also found listings 165 Pine Street, and 20 Pine Street. There are constant address discrepancies. 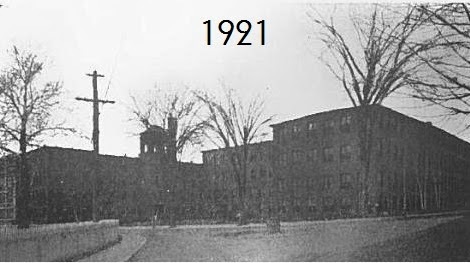 1922 - Florence Manufacturing employed over 700 workers. The locals were constantly referring to it as "The Brush Factory." 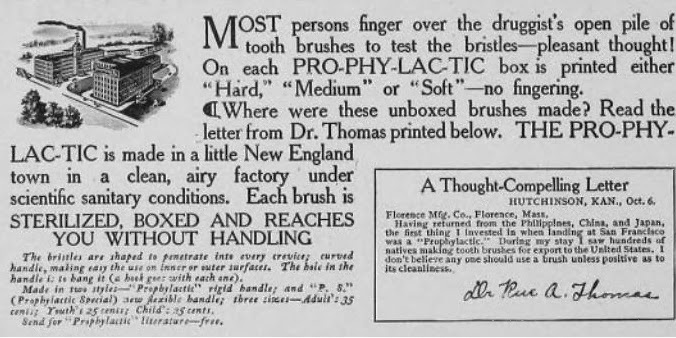 1924- Florence officially changed its name to the Pro-phy-lac-tic Brush Company. 1930- Williams Lambert (pharmaceuticals) bought them out after years of negotiations. 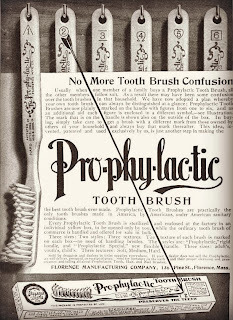 Prolon ad 1943 calls the toothbrush's plastic "Prolon"
1943- The toothbrushes are still going strong an the word Prolon is all around. 1947- Prolon listing says 221 Pine Street. 1949- Prolon trays and dinnerware pushed to colleges and hospitals. FromTheMouseNest on Etsy has this child's cup for sale. 1950-Listings for Prolon say 211 Pine Street in the Plastics Encyclopedias. 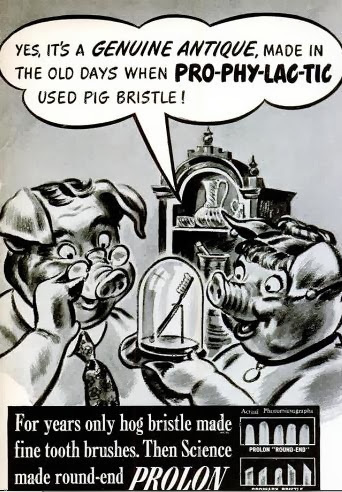 1951- Prolon marketed heavily to and used in schools. 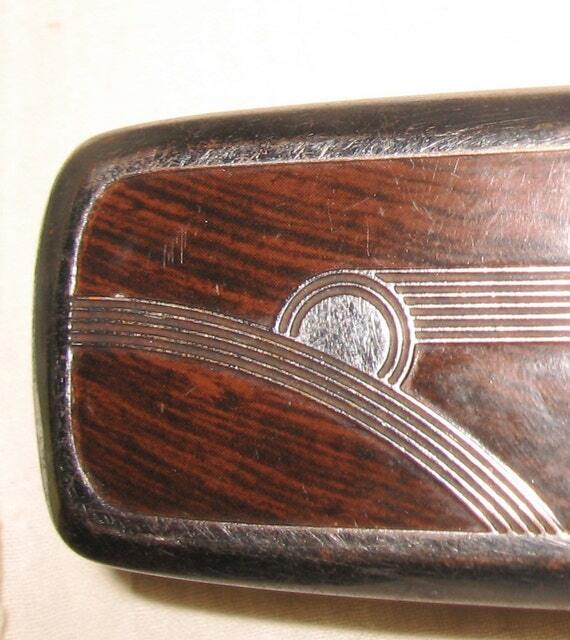 The 1953 open stock was a bit different than Florence Ware! 1952- Prolon made of Melmac is advertised in an Electro-Technology magazine having 8 designer colors with a choice of 23 open stock items....however every reference of Irving Harper's designs come two years later. 1952- Plants for the Melamine are listed in Florence, Massachusetts and Canada! 1954:- It's no secret that George Nelson Associates has Irving Harper's design Florence Ware. 1958 - This Prolon advert shows all the original color names and the open stock prices. 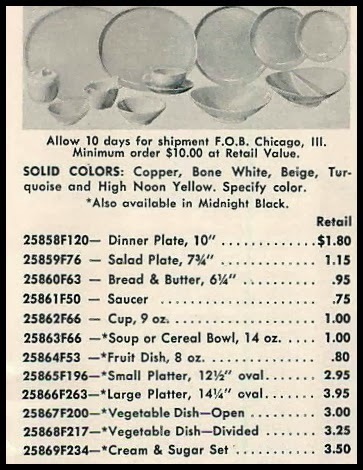 Note the dinnerware is coming out of Chicago, Illinois! 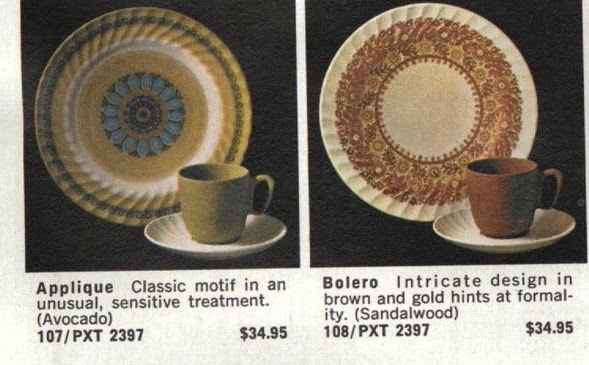 1959- US Dinnerware crops up with a plant in Port Gibson, Mississippi, this will be instrumental in later Prolon melamine history. "Regatta pattern" note, Irving's sputnik sugar and creamer. 1959- During this time some very mid century modern patterns emerged decorating Prolon's Florence line designed by Irving Harper of George Nelson Associates. I should add that it was rare for designs to be put on the actual creamers and sugars but the Regatta line is a prime example of that. 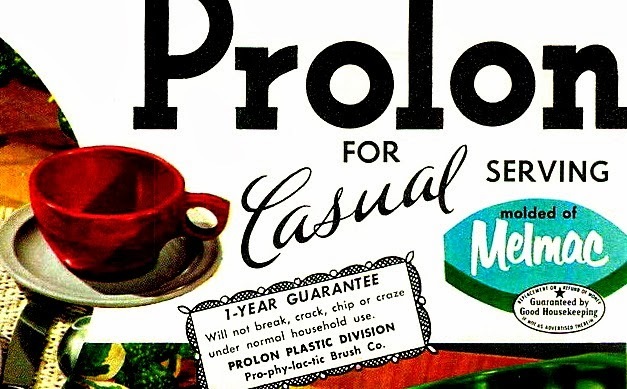 1960- Prolon is still listed at 221 Pine and still making melmac. 1963 - Still listed at 221 Pine Street and molding items such as record player housings. The designs for the late 60's going into 1970 were olive, browns and mustards. At this point I'm thinking ceramic dinnerware looked much better. 1997- Pro Corp bought the property in Bankrupcy Court for $5 million dollars and still had employee count of at least 100 workers. 2003- Prolon (melamine) is now listed at the Port Gibson, Mississippi address...hmmmmm? 2007- In Florence, employee count had fallen and a source says the factory closes and the building is up for sale. 2007-2009: Nonotuck Mill LLC purchases the historic building at 296 Nanotuck Street and partners in with an environmental company, due to the history of the building. The sale of the building went for $950,000, a far cry from five million, This of course was due to the massive clean up and renovation of the Nonotuck building due to the amount of oil, gas, and toxic chemicals "buried beneath the building". 2009-2010 - The old Brush Factory's offices are now refurbished to keep the character and rented to businesses. Thanks to Nonotuck Mill LLC for saving another great building in history from demise. You can see another shot on this previous Prolon post. 2008: Prolon is now owned by United States Dinnerware, and officially listed as Prolon, LLC Port Gibson, Mississippi . 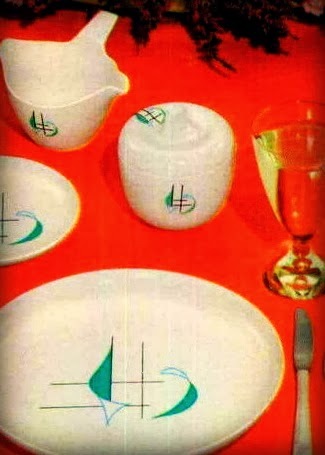 They advertise that it was founded in 1959 in the height of the “Golden Age” in Port Gibson, Mississippi where it successfully launched Prolon™, a durable and versatile melamine dinnerware brand that is highly regarded in the food service industry. 2009: In my conversations with Steve Gluck, President, he tells me that he's competing with mass produced made in China melamine, that their factory still produces everything in the USA and competing is a huge struggle. Today, he claims his company is proud to be the only domestic full-line supplier of melamine dinnerware. 2017 : Thermo-Serv Ltd, has acquired Prolon, and now the dishes are still being offered ! Melmac Production in Mississippi: It is unclear just when operations of melamine dinnerware for Prolon ceased in Florence Massachusetts and rights bought in Mississippi by US Dinnerware. One would assume after the factory closed in 2007, but this may not be so. US Dinnerware's company slogan would make you think they were producing it since 1959, but I am unsure if that claim to fame is true. Although it is quite possible that Prolon focused on plastics and injection molding rather than heavy dinnerware, and could have sold their plastics division early, unless this information is disclosed one may never know. Canadian Factory : Little is known about the Canadian factory, or how these articles were molded. Could these have been the items shipping through Chicago? Pine Street Address in Florence : Over ten Pine Street addresses were found on early correspondence. Why is this? 221 Pine Street Questions - How Much a Part in Prolons History Was It? : Here still stands a big white conglomerate building called the Arts & Industries building. Today it sits on the river and rents out office space. If you look closely it is brick just painted white. Take into consideration the original Prolon correspondence I found listed them at the "Intersection of Pine and Nonotuck" paired with the fact later Plastics Encyclopedias did indicate this was Prolon Plastics Factory at 221 Pine Street. But could this have been the site dating all the way back to 1904 (for plastics production?) You can compare it to my ad from 1904. Google Maps, Former Prolon Plastics Plant? Was any molding done here? Here's the aerial view of the buildings at 221 Pine compared to the 1904 ad. 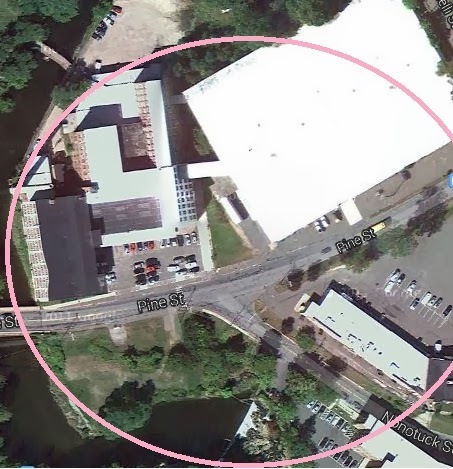 For reference, here is an arial view of how close this huge building at 221 Pine would be to the Nonotuck Street building. Remember, Nonotuck Street was not used on any of the company's earliest correspondence but is indeed what the locals say the local of the Brush Factory. Could all of this been Prophylactic territory per se? Thanks, Google Maps . According to the locals, and the realtor, this brick building now named Nonotuck Mills at 296 Nonotuck Street was the former site of the Florence Brush Factory, and they list it on historical documents as eventual home to the PRO CORPORATION. As for the big white Industrial Arts building at 221 Pine, I'd like to think the locals would credit this to the plastics, but sadly I cannot find much mention of 221 Pine anywhere. Doesn't anyone love the plastics? Hello! 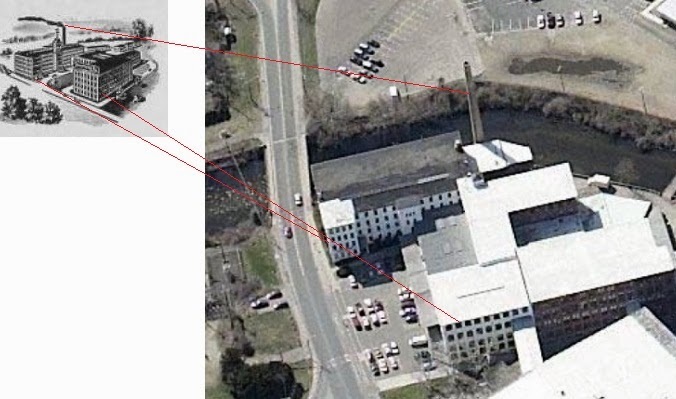 The original photos of Florence Manufacturing appear to be the Nonotuck Street address. Do you agree? The towner is my only point of reference, and possibly shape of the windows. See the arrow for how close the 221 Pine Street building was. 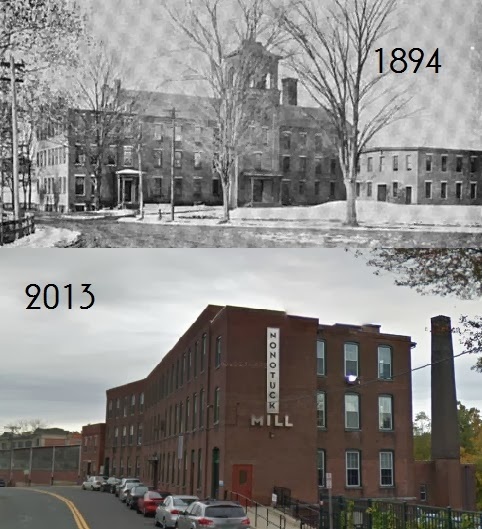 A Virtual Tour of Northampton - See a great photo of the Brush Company! Mill River Greenway - Read this great information . 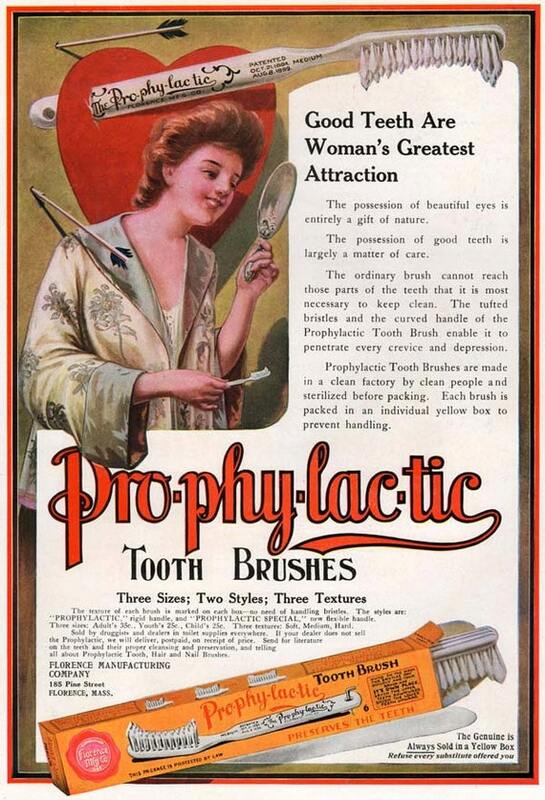 Do you have a story about the Prophylactic Brush Company, Florence Manufacturing or Prolon Plastics factory? Please leave comments here. Thanks for reading. 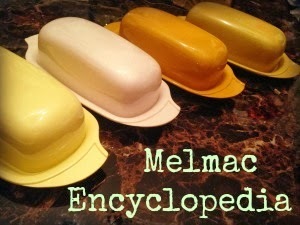 This post featured on The Melmac Encyclopedia! My cousin worked there and my godmother. I got Pro combs and brushes for Christmas for many years. 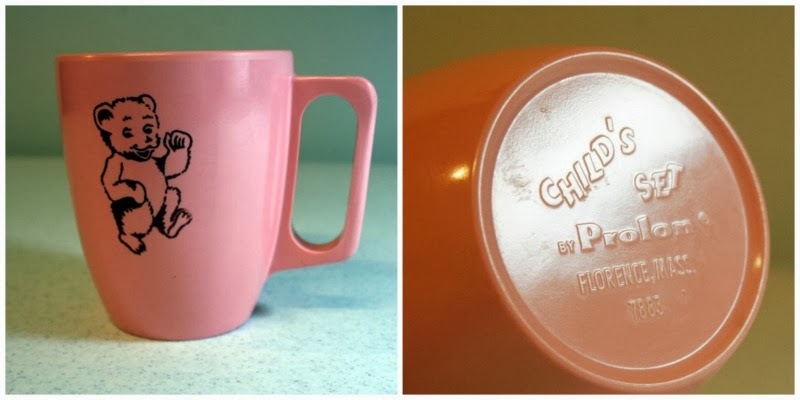 Growing up in Massachusetts in the 60's, my family used Prolon Ware. 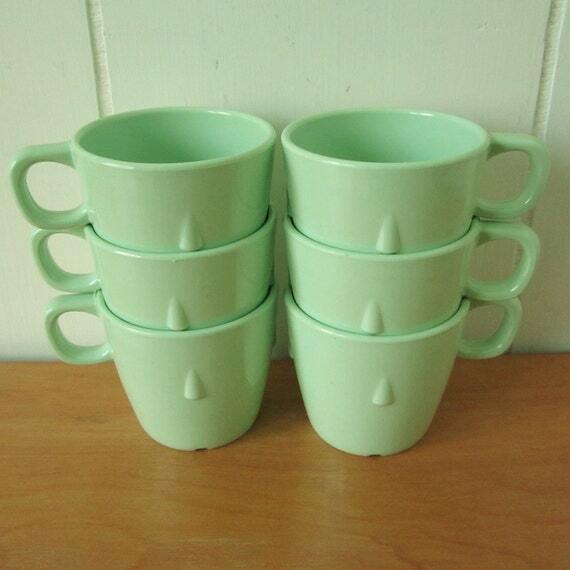 I still have a couple of pale green bowls that my family now uses for cereal. My husband asked me to find out if these dishes are still made because they are so durable. I enjoyed reading about the history of the company.